We are currently seeking sponsors from music companies to help raise awareness, and to engrain ourselves within the local communities. Sponsors will be given a place on our sponsor’s page on our website, a link on our website, and advertisement at all of our events. Our events will also feature tables and booths displaying Rhythm Changes Information, as well as our sponsor’s information and upcoming promotions. We will also provide advertisements via social media for our events and our sponsors. To become a sponsor of Rhythm Changes Corp. we are asking a $100.00 contribution monthly. 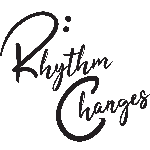 Rhythm Changes Corp. Is a nonprofit, we will give you a receipt with each contribution for your tax filings. Please Donate to help children in Haiti.